We love experimenting with music and making videos. And sometimes we get a lot more inspired when using less than conventional instruments. See our instructors in action! 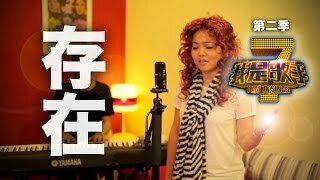 An instrumental version of the ending theme song, from the 2018 Chinese television drama series 《延禧攻略》Story of Yanxi Palace. 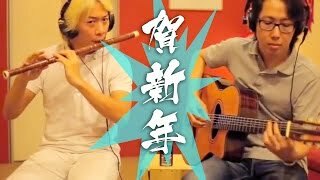 Instruments used include 笛子 (Chinese Flute) 古筝 (Chinese Zither)，鋼琴 (Piano) and 吉他 (Guitar). Hello everyone! 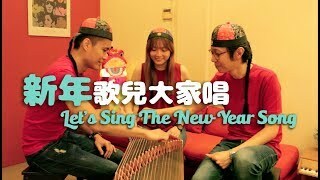 It's the eve of Chinese Lunar New Year, and we recorded a Chinese new year classic《新年歌兒大家唱》with the 古箏 (Chinese Zither, also known as Guzheng). 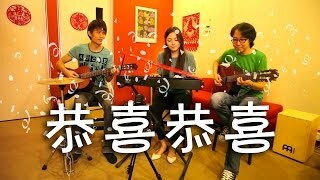 Also, don't forget to check out our first attempt at speaking in our respective dialects (Cantonese, Hokkien and Teochew). We are not good at it, but we are trying to keep the culture alive! Here's wishing everyone a happy and prosperous Chinese New Year ahead! It's 2 days to Christmas! 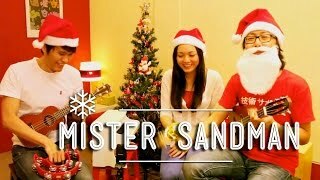 Here's an old Christmas classic that was probably not meant to be. Composed by Jule Styne and Sammy Cahn in July 1945, it was written during a heat wave in Hollywood as they imagined cooler conditions. Although the song's lyrics make no mention of Christmas, it is played on radio stations during the Christmas season and is often covered by various artists on Christmas-themed albums. 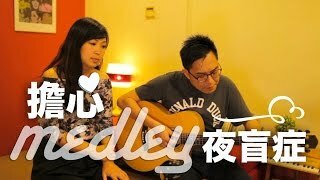 Vocal instructor Huibing brings you a medley of 2 beautiful songs 擔心 + 夜盲症, written by Singaporean composers and writers. 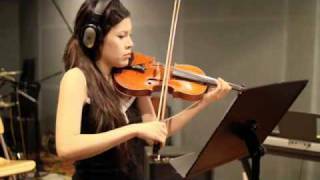 Featuring our vocal student Kristen Png. Student Showcase is something we have been wanting to do for a long time. We see this as a good avenue for students to share their talents, especially after months (or years) of practising relentlessly, in search of musical perfection. Don't get us wrong. Student Showcase is never about musical perfection. In fact, music is NOT all about perfection of executions. Down to the irreducible minimum, music is about communicating, about conveying feelings and emotions. Let the music speaks for itself. 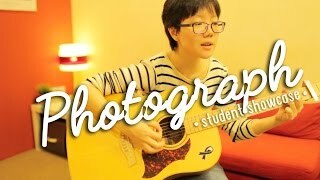 In this video, Kristen performs the popular Ed Sheeran song 'Photograph'. 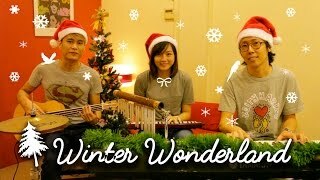 Winter Wonderland is a Christmas classic written more than 80 years ago (in 1934!) by Felix Bernard and Richard B. Smith. We absolutely adore the beautiful modulations in the chorus. We hope you like our rendition. Merry Christmas! Hello to all our Muslim friends! It's the last day of the Ramadan! We have recorded a classic Malay song 'Selamat Hari Raya' by the late Saloma (Salmah Ismail) or better known as Primadona Saloma. 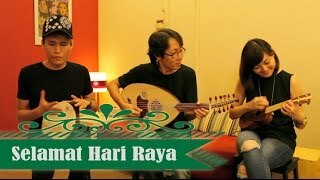 The beautiful song 'Selamat Hari Raya' was composed by the late talented multi-instrumentalist Ahmad Ja'afar, who was also the conductor of RTS (Radio & Television Singapore) and SBC (Singapore Broadcasting Corporation) Orchestra. Here's wishing all our Muslims friends Selamat Hari Raya Aidilfitri. Maaf zahir dan batin. 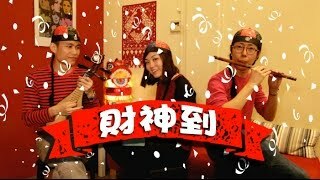 As Chinese New Year is just around the corner, we bring you a Chinese New Year classic 《財神到》Cai Shen Dao, which means 'Here Comes The God Of Wealth. 財神 Cai Shen's name is often mentioned during the Chinese New Year celebrations, as Chinese believe in the God of Wealth bringing prosperity and wealth during the festive seasons. We attempted a little old-fashioned magic in this video. Check out our not-so-great acting! We had a lot of fun recording this one. Hope you like it. It's the time of the year again! Here's one of the more popular Christmas classic 'Frosty The Snowman', written by Walter 'Jack' Rollins and Steve Nelson, and first recorded in 1950. Hope you like it, and have a wonderful Christmas! 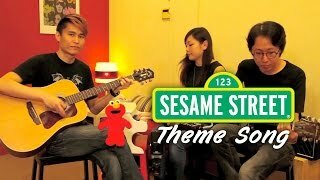 A classic back from the 1970s, the oldest Sesame Street theme song 'Sunny Day', is also known as 'Can You Tell Me How To Get To Sesame Street?'. It's Singapore's 49th National Day! 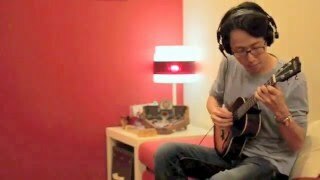 We recorded the song 'Di Tanjong Katong' in true-blue kampong spirit (by sharing one guitar!). 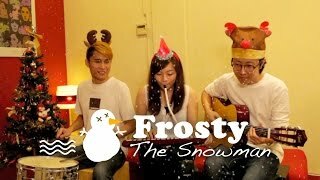 This lovely folk song goes out to all Singaporeans. May we continue to achieve happiness, prosperity and progress for our nation. Happy Birthday, Singapore! 恭喜恭喜 (literally translated as 'congratulations') is a Chinese Mandarin classic almost exclusively associated with the Chinese Lunar New Year. Written in 1946 by 陈歌辛 (Chen Gexin), this song celebrates the defeat of Japan and liberation of China at the end of Second Sino Japanese World War. This is a song which speaks of hope and love. Mister Sandman is a classic tune originally recorded by The Chordettes back in 1954. The composer Pat Ballard rewrote the lyrics for Christmas use as 'Mr. Santa', and it has become one of the popular Christmas standards. Happy Holidays, and enjoy the snow! Lol. It's 3 days to Christmas! 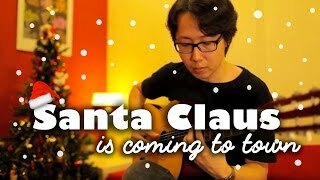 Here's a solo instrumental guitar version of Santa Claus Is Coming To Town. Hope you like it, and Merry Christmas! 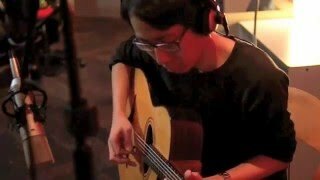 Doraemon ドラえもん Theme Song. はいタケコプター! The choice of the guitar is no coincidence. 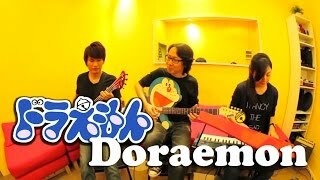 What can be more suitable than a wacky limited edition Doraemon guitar for this classic tune?! Hope you like it! 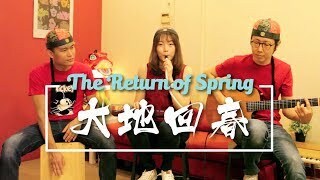 With Mid-Autumn Festival just a few days away, we decided to have some fun with recording a cover of the Chinese classic tune 花好月圓 (loosely translated to Blooming Flowers & A Full Moon). 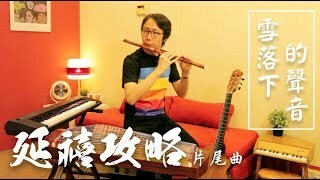 And while you enjoy your mooncakes, we present to you our quirky and offbeat (some say 'orbit') version of an 80s-sounding reggae, using our collection of retro musical instruments from the 80s and 90s. 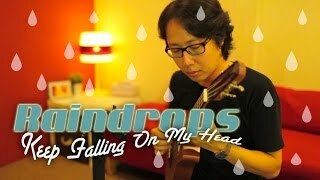 A solo ukulele rendition of B. J. Thomas classic 'Raindrops Keep Falling On My Head' (written by Hal David and Burt Bacharach). 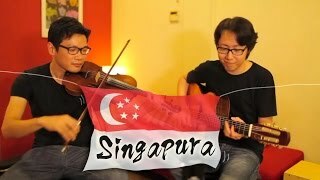 With National Day 2013 just around the corner, we'd like to celebrate Singapore's 48th birthday with this song 'Singapura, Sunny Island'. Happy Birthday, Singapore! Dawn was at our place for a project the day before. We asked her if she's keen to jam. And here it is, our little impromptu session. Thank you for being a good sport! On The Run is one of the 5 songs featured on Dawn's self-titled debut EP. 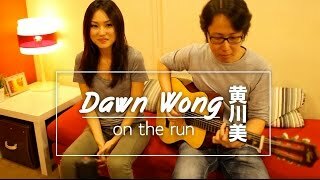 You may also like to visit http://www.dawnwong.sg to find out more her and her music. 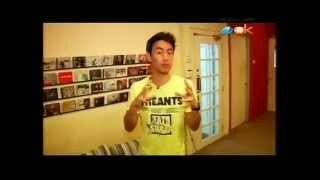 Mediacorp Okto artBITES, is a series of short segments dedicated to promoting the various arts in Singapore. 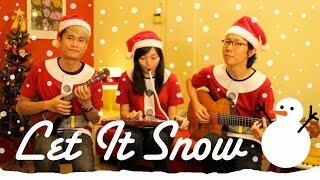 We were invited to be featured on this episode on "how to play the ukulele". 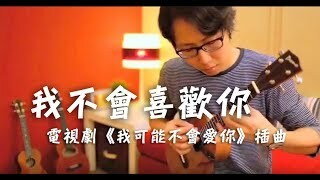 On this episode, Kangyang will be teaching TV host George Young a few chords, as well as one basic strumming pattern for playing the ukulele. It's the time of the year again! Here's a tune for all the good boys and girls on Santa's list. Merry Christmas! Happy 70th Birthday, John. To commemorate what would have been John Lennon's 70th birthday on the 9th of October 2010, we rearranged one of Beatles' most famous tune 'I Want To Hold Your Hand' as a tribute to the late musician. John Lennon (9 October 1940 - 8 December 1980) was an English singer-songwriter who rose to worldwide fame as one of the founding members of The Beatles and, with Paul McCartney, formed one of the most successful songwriting partnerships of the 20th century. This one goes out to all Beatles' fans. 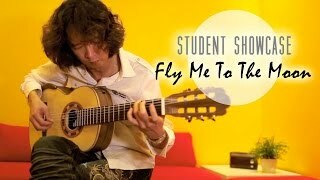 An original composition featuring Lim Hui on the violin. This whimsical tune goes out to all the nice dudes and dudettes who like the rubber duckies sitting around at my workplace. 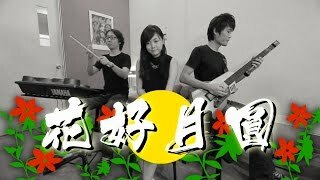 An original composition featuring Lim Hui on the violin. This was actually written a while back, but I never quite had the time and opportunity to get down to recording it. As luck would have it, everything just fell into place when Hui came back for a holiday from Japan. This is a song about many stories untold. 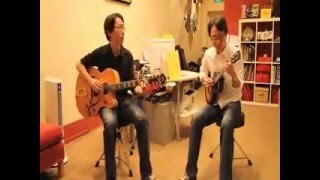 A mildly-funkyish cover of the theme song from Super Mario Brothers. 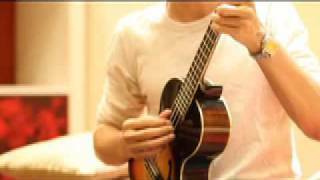 Featuring twin brothers Keetar (on guitar) and Ulukeekee (on ukulele) in this short video clip. A live performance of 媽媽的娜魯娃, by JJ Lin 林俊傑, 鄭可為 and 紀康陽 during the 15th COMPASS Awards Presentation 2010. 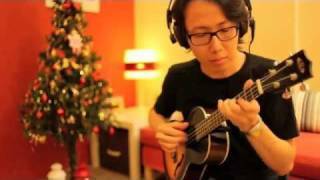 A short fingerstyle ukulele solo on Black Or White (Michael Jackson).